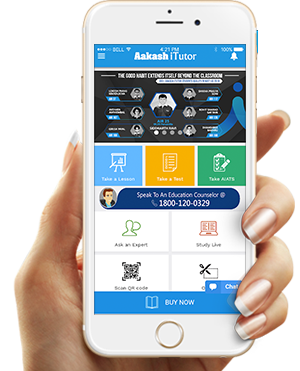 Recorded Video Lectures: Study and revise anytime, anywhere with recorded video lectures by the best Aakash faculty. Study Material: Aakash study material in printed books and e-Book format. Integrated Tests and Assessments: Assess what you have studied and keep track of your progress with online tests and analytical reports. Multi-device Platform: Access iTutor on your desktop, laptop or mobile phone. Doubt Clarification: Doubts clarified across all topics by Aakash faculty via ‘Ask an Expert’. Internet Not Mandatory: Course material is also available in SD cards.